This convertible Cami-bra is designed with a faux leather and fishnet trimmed along neckline, overlay on moulded thick padding for an elegant silhouette. 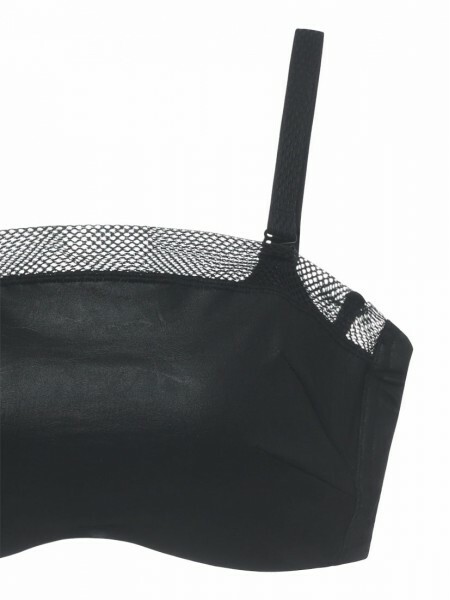 Comes with a pair of non-adjustable fishnet wrapped bra straps allow for versatility in style. Moulded thick padded is available with cup B for a fuller look while cup C/D is lightly padded.